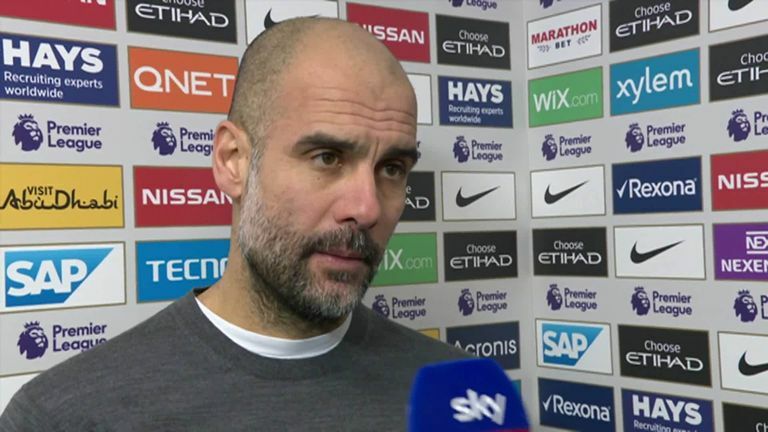 Manchester City boss Pep Guardiola has sympathised with his Chelsea counterpart Maurizio Sarri and says he should be given more time. 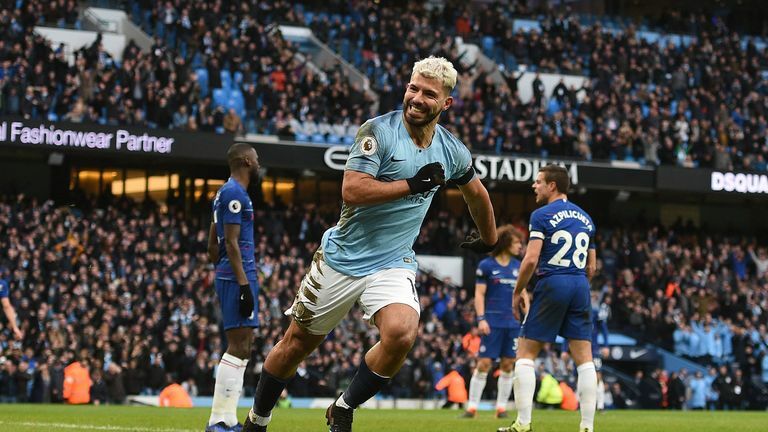 City thrashed the Blues 6-0 at the Etihad Stadium on Sunday, Chelsea's heaviest loss in any competition since 1991 and the Italian's worst league defeat as a professional manager. However, Guardiola defended Sarri - who replaced Antonio Conte at Stamford Bridge in the summer - by pointing to his own struggles in his first Premier League season and Chelsea's 2-0 victory over City in December. 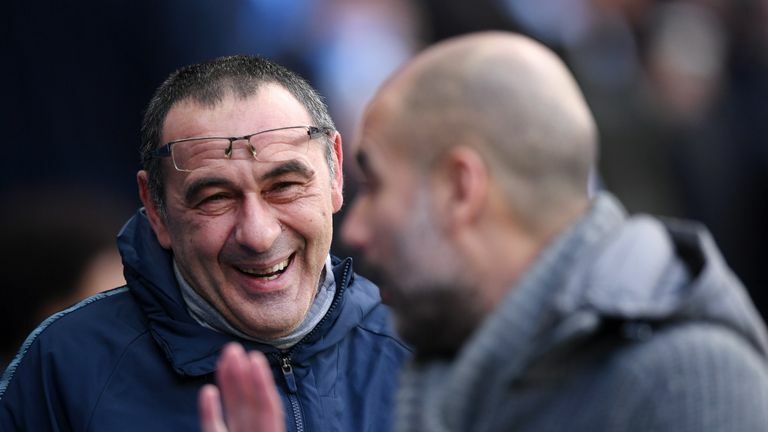 The City boss also highlighted the job Sarri had done at Napoli, who City played in the Champions League last season, and suggested that the 60-year-old needed "belief" from Chelsea's owners to take the club forward. When asked if he sympathised with Sarri, Guardiola said: "Yes of course. I know exactly what he wants to do. I think this kind of person - it always helps to make our (Premier League) football better. "They beat us at Stamford Bridge - and against Napoli last season - they were tight games. During moments of those games, they were better than us. "People don't understand how difficult it is. I said many times, my first year was difficult too. Some moments we played good but not consistently. "People expect 'Okay, manager arrives, he buys players and immediately come [results]' - it needs time. It depends on the belief from the owners, the people who are in charge; they really need to believe in that. "The main reason I decided to come to Manchester City is because my bosses, the chairman specifically, I didn't have to convince him. He knows me. "When it's not going good, we try to find a solution. He doesn't think I'm good when I win and bad when I lose. That is the reason why I am enjoying this period at this club." 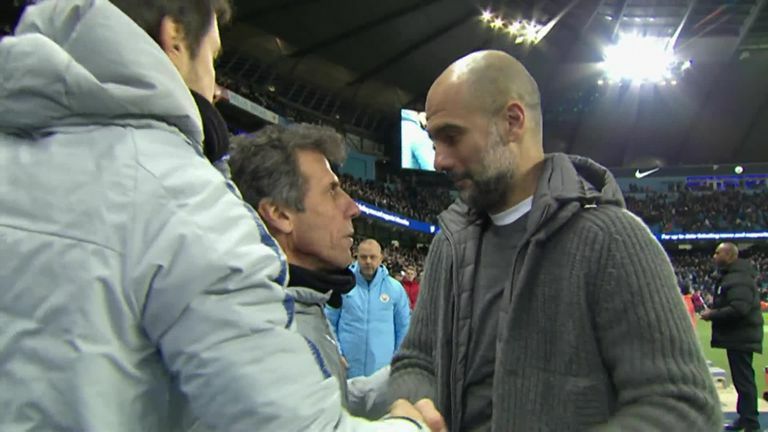 Following Chelsea's 6-0 defeat to City, Sarri headed straight down the tunnel, appearing to ignore Guardiola's outstretched handshake. WATCH: Did Sarri snub Pep? "I spoke with (Chelsea assistant) Gianfranco Zola," Guardiola added. "Maurizio Sarri didn't see me. I have a good relationship with him so it is no problem at all."